Armed with a pair of video glasses and a strong work ethic, Kyle Neely, known online as “Blue Collar Kyle,” is out to change the perception of the collision repair industry through his online presence. Neely found his passion in the industry long ago, but today he creates and uses his daily video content on social media platforms to try to spark the interest of young minds and inspire them to go into the industry. 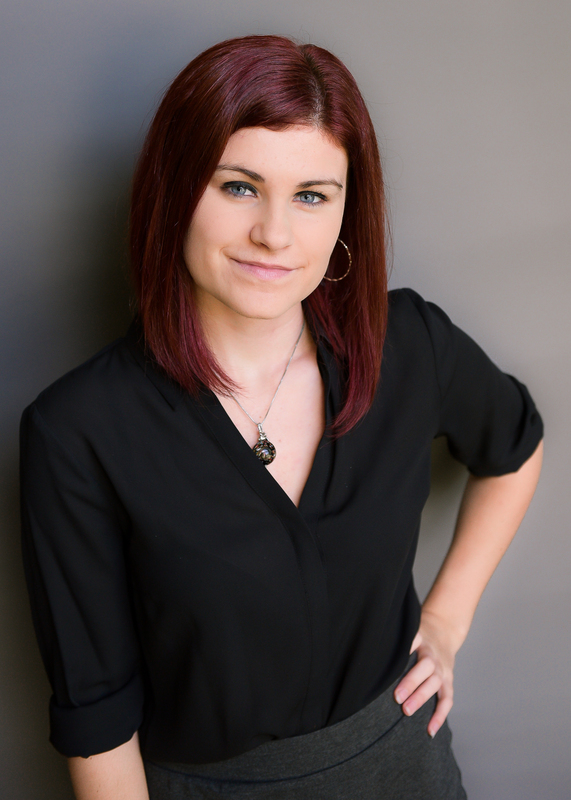 A: I’ve been in the auto collision industry for just over 11 years as a career. I spent two years at Ranken Technical College learning the industry before that. Q: How did you get started in the industry, and how did you get to where you are now? A: My history in the automotive industry goes way back to my childhood. My grandparents owned an auto repair shop, and my dad started bringing me to work with him when I was 12 years old. I spent most of my days I was off school and throughout the summer at the shop learning and working with my dad. My grandma would pay me $20 a day, which was only about $2 an hour, but I was hungry from a young age and not much has changed. No question this is what caused me to have the work ethic that I have today. My junior and senior year in high school, I took an auto collision program that a vo-tech high school offered, and this is what sparked my interest in the collision industry. I decided to go to Ranken Technical College and take their Automotive Collision Repair Technology program when I graduated high school. I went from barely graduating high school to a straight “A” student in college because I finally found my passion. After college, I got a job at a small auto body shop, where I worked for about one-and-a-half years. I left there in November 2008 for an opportunity at Schaefer Autobody in St. Louis, Mo., which is where I still work today. Q: What inspired you to start the BlueCollarKyle project? A: Once I developed as a technician and I was confident in my skills, I got interested in helping out in other areas as well. I started to attend job fairs with our company to help with recruiting young talent. I also stayed involved with Ranken as a member of their collision program advisory board. Over time, I began to see a major problem. Not only is there a major technician shortage, but there was also a major shortage of young people coming into the industry. 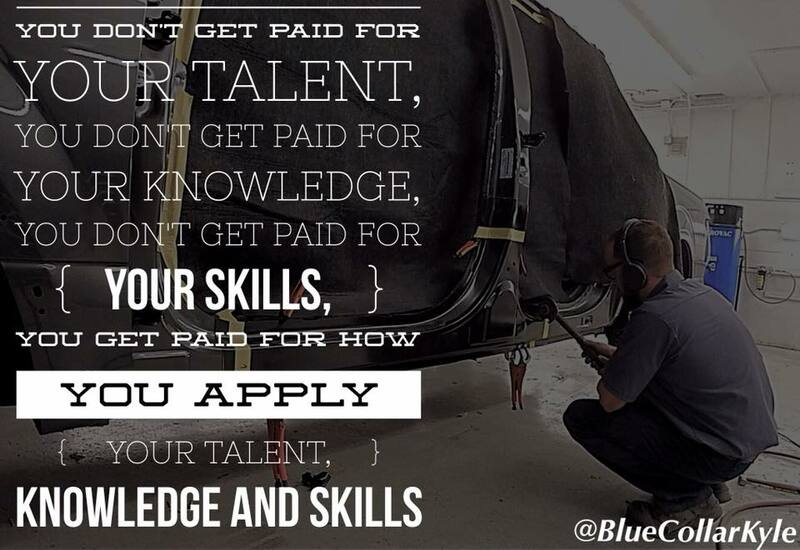 After doing some research, I realized that this was true among many blue-collar trades. I came to the conclusion that this is because blue-collar careers are viewed by society today as dirty, low-paying jobs, and this is just not true. Society today has been brainwashed into thinking that, at minimum, a four-year degree is required to obtain a good-paying career. I decided someone had to change this false perception of blue-collar jobs, and someone needed to bring respect back to the blue-collar trades. That’s when I started the BlueCollarKyle project. Q: What are your goals for the project? Do you have any future plans to expand it? A: My current goal with the BlueCollarKyle project is to introduce the auto collision industry to young people and inspire them to join the industry. I believe part of the problem with auto body, in particular, is that many people don’t even know the industry exists. They think of people that work on cars as mechanics, and many don’t even know there is an auto body side as well. I knew that if I wanted to connect with teenagers and young adults at scale, I had to go where they are. Social media is where this generation lives today, so I launched my project on Facebook, Instagram, Snapchat and Youtube @BlueCollarKyle. Q: Can you talk a little bit about your daily Facebook videos and why you do them? Did they start with the project or separately? A: I record my life at work every day as I perform repairs. I then create a daily “vlog” that goes on Facebook every night and eventually ends up on my YouTube channel as well. When I first started, I only posted my daily vlog on Snapchat. I created other one-off videos for Facebook where I would just show one repair and edit it with music to make it more entertaining. I decided in February 2018 to bring my daily vlog to Facebook as well and add some commentary to go along with it. After doing it for a while, I started having students in high school auto body programs messaging me saying thank you for putting out the videos every day. Multiple students from all over the country were telling me that their instructor plays my daily vlog, “Inside the Bodyshop,” every day in class. Some said they even do a quiz afterward. After hearing this from many students, I knew I had to continue. As of writing this, I am currently at 114 episodes. Q: How do you go about filming the videos and finding time to edit and narrate them every day? 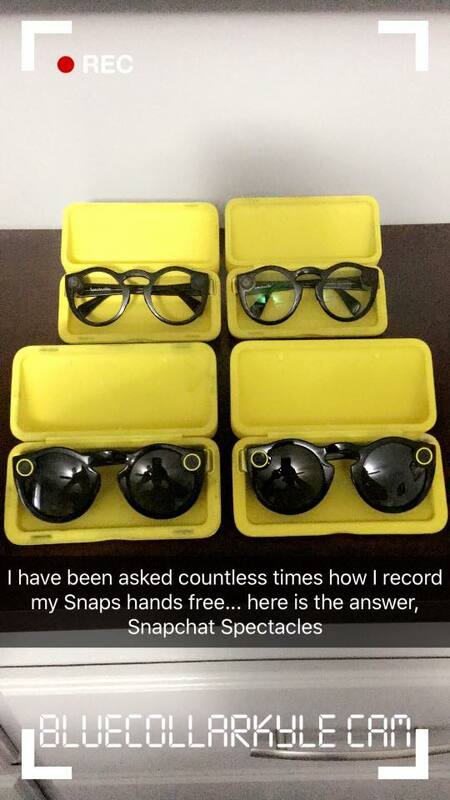 A: I record the daily vlog with glasses that have a built-in camera called Snapchat Spectacles. They’re actually sunglasses made specifically for Snapchat, but I modified them with clear lenses. I can pull all of the videos from the glasses and put it into my editing software on my computer to make the videos. They’re silly-looking glasses, but I’m not here to make a fashion statement. I also have a few other cameras that I will set up and use from time to time to make one-off videos. As far as finding time to edit and narrate the videos, that all comes down to the hustle. I have an insane work ethic, and when I put my mind to something, I get it done. After doing it every day for so long, it just became part of my daily routine. I say this often on my posts on Facebook and it is 100-percent true: the likes, comments and shares that I get on my content every day is a major motivation for me to keep creating new content daily. 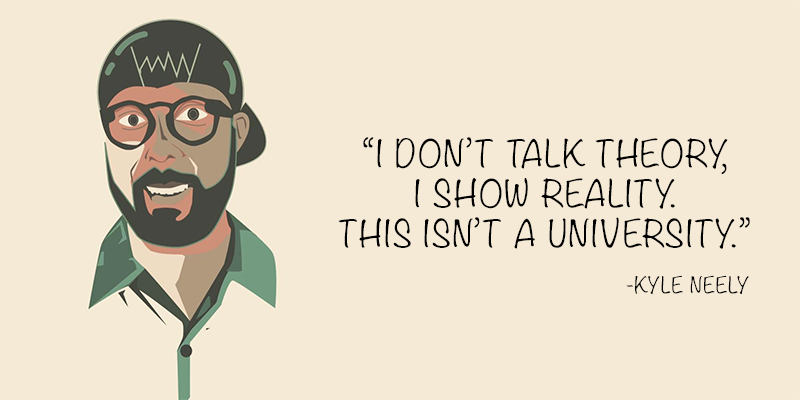 Q: Who are the kind of people you’re trying to reach with your videos? A: There are people of all ages that are getting value out of my content from an entertainment as well as educational aspect. However, to stay focused on my main goal, my target audience is roughly people ages 14 to 25 who like to work with their hands and/or have a passion for cars. Q: How do you deal with criticism online? A: Criticism is inevitable any time you put yourself out there on social media. It’s impossible to avoid; you just have to be very level-headed and not get worked up over it. I’ve never been a person who cared about what other people said or thought about me, so criticism on my social media has never bothered me. Depending on the situation, I usually ignore the criticism at first, but if they continue to come back, I sometimes will have fun with it. It’s not uncommon for other people to put the critics in their place before I have a chance to respond. Q: What do you think the industry as a whole will look like five or 10 years in the future? How will it evolve? A: While technology will continue to advance and the design of cars will evolve, I think the industry as a whole will look pretty similar five to 10 years from now. However, I do believe that there will be a big change in how companies recruit and train employees. Not only in the collision industry but across the board, I believe training internally is going to become a HUGE thing. Molding a person into the company culture and ways of doing business is the future. People are going to start to put more value on real-world training and less value on theory. I believe 10 years from now, the major players in the industry will have elaborate training programs within their organization. To check out Kyle’s content and videos, head over to his Facebook, Youtube, Instagram or add him on Snapcaht @BlueCollarKyle.